Sterling Style: Dad, I Love You. The list goes on. More importantly I admire and respect him. He's my #1 cheerleader and confidant. 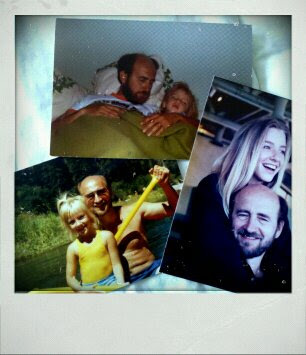 Dad, I love you. Thanks for being the best! Aw what a beautiful sentiment...to dads everywhere: cheers! This post is 2 days early! (: But sooo adorable, I love this sentimental post! Great post fills my heart to see others with the same sort of relationship my dad and I have!! Awhhhhhhhhhhh! Such a sweet post! Thanks for sharing! I feel the same way about my dad. Love him to death. Happy Almost Fathers day to all the dads out there. aww, you two are too cute!! So sweet!! Happy Father's day to yours! Aw, Taylor this is so sweet! Reminds me so much of how my dad and I were. Cherish it! That's so awesome! I love that picture of you as a teenager. So pretty! ps... I love NPR also!